I am an editor for the Annals of Pure and Applied Logic. I invite submissions, at a level comparable to the level of the JSL. 1. I apply logical methods to algebraic structures, especially to groups. A recent paper in this direction is Describing finite groups by short first-order sentences. With Katrin Tent. Israel J. Mathematics 221 (2017), 85-115. 2. Since 2002 I have studied the interplay of computability and randomness. For an overview of work up to 2010 see Interactions of Computability and Randomness, Proceedings of the International Congress of Mathematicians, 2010. For recent work see e.g. Coherent randomness tests and computing the K-trivial sets. With L. Bienvenu, N. Greenberg, A. Kucera, and D. Turetsky. J. European Math. Society 18 (2016), 773-812. 2a. Recently I have studied quantum information theory, in particular randomness for infinite qubit strings. 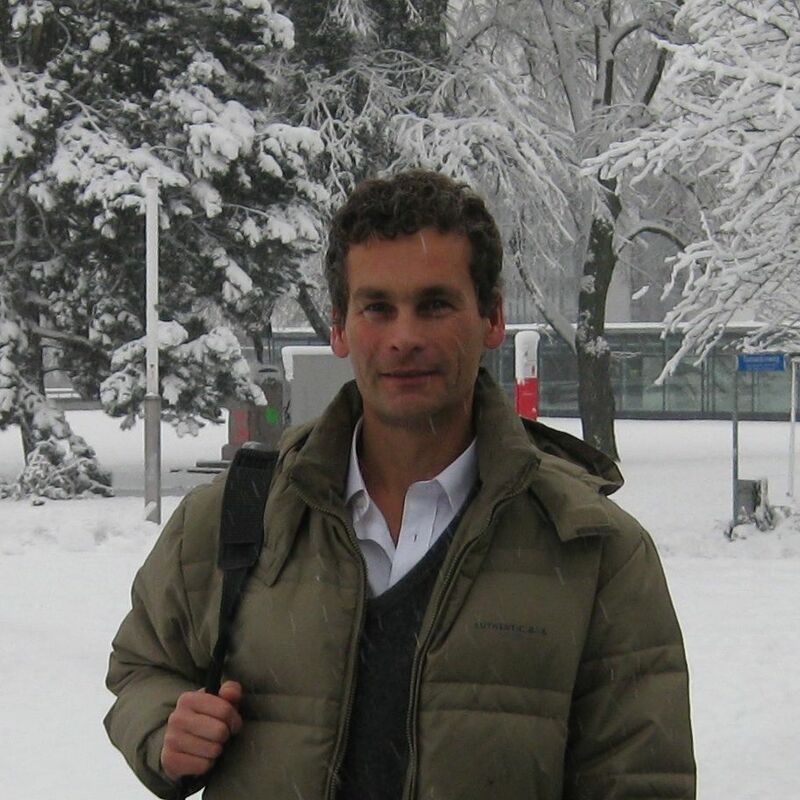 See Martin-Loef random quantum states, with Volkher Scholz. 2b. My interests include the connection of randomness to analysis, ergodic theory, set theory (cardinal characteristics), and reverse mathematics. I also work on invariant descriptive set theory, in particular for Polish metric spaces. 3. I haved studied structures that can be described by automata, or via Borel relations. See my survey paper: Borel Structures: a brief survey (with A. Montalban, 2010). Effective Mathematics of the Uncountable, Lecture Notes in Logic 41 (2013), 124-134. 4. In earlier papers (mostly 1994-2003, but a few up to 2012) I have investigated degree structures using model theoretic methods. See my habilitation thesis Coding Methods in computability theory and complexity theory for a summary. For more detail see my publications. Summary of past research up to 2010. 2018 Trimester Programme Logic and algorithms in group theory, Sept - Dec 2018 at the Hausdorff Institute for Mathematics in Bonn, Germany. With Katrin Tent and Eamonn O'Brien. The summer school took place September 10-14. 2016 Algorithmic Randomness Interacts with Analysis and Ergodic Theory at the Casa Matematica Oaxaca. Organised with Jeremy Avigad and Joseph S. Miller. Retreat with 8 participants at Calpulalpan de Mendez during Nov 30-Dec 4. Program. Workshop on the occasion of Jouko V��n�nen?s visit to New Zealand , April at the Research Centre Coromandel. Organised by Sebastian Link and André Nies. Pictures. Retreat on computability theory and its applications , Feb 18-23 at the Research Centre Coromandel. Organised by Noam Greenberg and André Nies. Pictures. Retreat and ARA Japan 2014, August 31- Sept 5, Fujinosato, Shizuoka prefecture. (Organized by K. Miyabe and A. Nies). Scientific Programme. ARA South Africa 2014, Feb 10 and 11, Pretoria. 2013 Argentina-Japan-New Zealand workshop (AJNZ) December 2-3, Auckland. Analysis, Randomness and Applications (ARA) 2013, Nancy, France. Since 2010 I have been editing the logic blog. Ask me how to participate through a shared folder in the dropbox. The Logic Blog frontend managed by Dr. Rupert Hoelzl. My book ''Computability and Randomness'' was published by Oxford University Press Jan 29, 2009. The revised paperback version was published March 2012. List of errata for the book (Jan 2013). Status of open problems from the book (Oct 2017). Randomness and computability: Open questions. Version of June 30, 2007 with list of results obtained so far. Published in Bull. Symb. Logic. 12 no 3 (2006) 390-410. Joint with Joe Miller.